“Elements of the Infinite” will be released on June 24, 2014 in North America, and June 23 in the UK/Europe and June 20 in the European G|A|S territories. 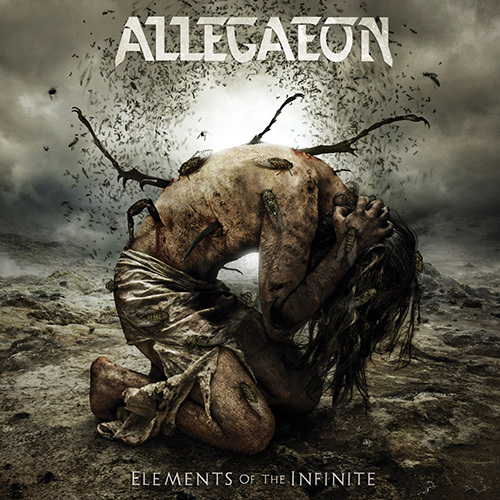 ALLEGAEON recently completed work on a video for the song “1.618“. The video can be viewed exclusively on http://www.metalblade.com/allegaeon. While there, fans can also pre-order the new album in various bundle packages. “Elements of the Infinite” was recorded, mixed and mastered by Dave Otero at Flatline Audio in Colorado Feb-April 2014. Otero’s work has been more prominent in the last few years – some fans may have heard his work on the latest Cattle Decapitation album, Cephalic Carnage, and more. Otero’s efforts here, along with the band’s new material, has led to ALLEGAEON‘s most realized and mature release to date. Musically, fans will be treated to orchestrations that provide significant depth to the sound. The orchestrations were composed by guitarist Greg Burgess along with Joe Ferris (monumentalaudio.net).